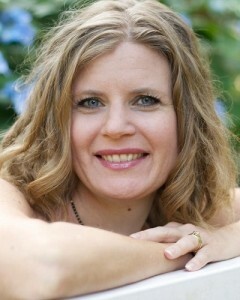 Tamsen Schultz is the author of several romantic suspense novels and American Kin (a short story published in Line Zero Magazine). In addition to being a writer, she has a background in the field of international conflict resolution, has co-founded a non-profit, and currently works in corporate America. Like most lawyers, she spends a disproportionate amount of time thinking (and writing) about what it might be like to do something else. She lives in Northern California in a house full of males including her husband, two sons, four cats, a dog, and a gender-neutral, but well-stocked, wine rack. I think we’re probably all familiar with the saying “life is too short,” which is usually followed by some idea or action that we might not otherwise do. But I think life is too short to do all the things we want to and the saying isn’t an excuse, but a motivator. There are so many different jobs, and places to live, and people in this world that we’ll never have the time to experience them all and that’s one of the primary reasons I write—I like inhabiting a world, briefly, that I wouldn’t otherwise get to experience given the choices I’ve made and the life I lead (a life I truly enjoy). I won’t ever become a leading cold case investigator for the FBI, but I can dive into that world while I write my character Vivienne DeMarco. I also won’t ever be a deputy chief of police, or a hospital administrator, or a Navy SEAL, or CIA agent. But, for lack of a better word, I can pretend for a little while. And in that pretending, I can inhabit a life, a group of friends, a mystery, and a love interest in way that isn’t possible in the real world. So I suppose, in short, one of my primary reasons for writing is also one of my primary reasons for reading, to broaden my experiences and relationships, if only fictional ones, and have a more interesting life. I don’t have much of a process, unfortunately—I know some authors are very disciplined and maybe someday I will be too but for now, I write when I can. That said, I do tend to form my stories, in broad strokes, in my head before I ever start typing. In fact, I do a lot in my head while I’m writing too—I work out scenes, dialogue, and major plot points. I have extensively outlined some stories but I’ve also flown by the seat of my pants with others. And I’ll let you in on a little secret, I just bought a bunch of index cards, some butcher paper to hang in my office, and some highlighters…I don’t know where it will take me, but we’ll see. With five books out, it seems like I should have some more consistency to how I approach things, but the truth is, I am still, and will always be, learning the craft. It’s a cliché for a reason, but the best advice I can give is just sit down and write, and edit, and edit, and edit again. And then find a good editor. Listen to the critiques of people you trust and just keep learning. Like a lot of things in my life, I just sort of stumbled upon a publisher that I knew very little about but has turned out to be a great fit for me and how I want to grow my career as an author. I was working on the traditional route of finding an agent when my first book, “The Puppeteer,” made it into the hands of Booktrope Publishing in Seattle thanks to a friend. The company has oversight every step of the way during the publishing process and has a great support structure, but I still have a tremendous amount of control in things like editing, formatting, title, cover, and marketing which I absolutely love. If you’re still the process of deciding how to publish your book, I would encourage you to think about what is important to you. How you work best should be a key factor in deciding what type of publishing to pursue. For me, having the support and community I have at Booktrope is important because I believe the balance of structure and control they offer allows me to continue to produce books people enjoy and grow my career at a pace that makes sense for me—but this may not be true for everyone so it’s important to spend some time thinking about your own goals and aspirations and the best way to, realistically, achieve them. I think it’s tough for writers since there are so many books out now and, without the big budgets allotted to some of the bigger names in publishing, it’s getting harder and harder to get your name out there. That said, as a reader, I think it’s wonderful. The access we have to books and authors is remarkable and in the end, even though I think it’s tougher for authors now, I also think everyone benefits in the long run because authors can no longer sit back and rest on the success of their last book—they have to keep working at getting better and better because there are just too many other books and authors out there that a reader can choose.